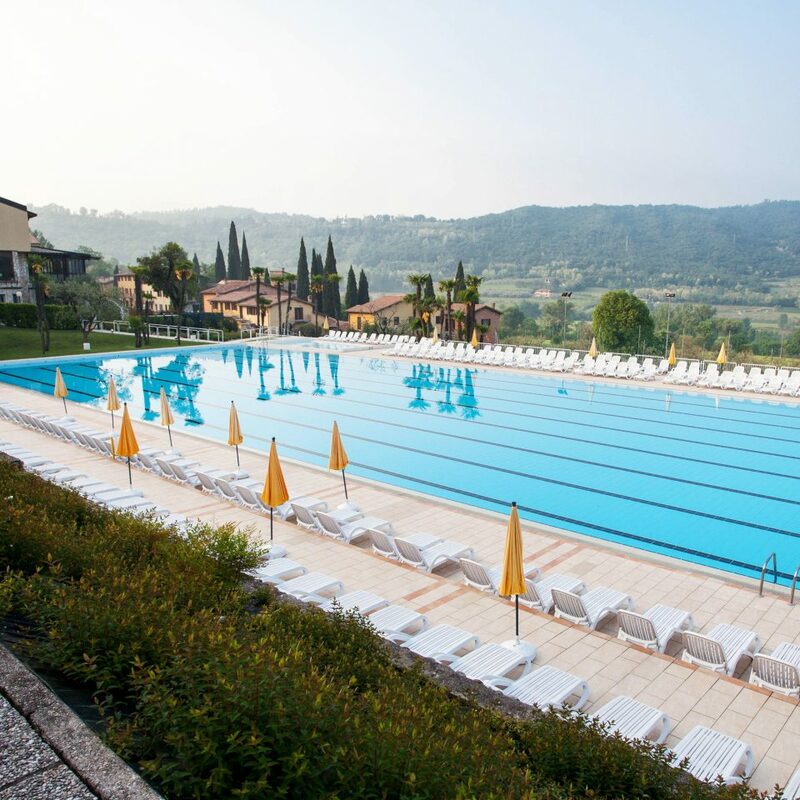 Poiano Resort is dreamily perched high in the hills above Lake Garda, amid sprawling private grounds, where you’ll find rolling parklands of olive trees and grape vines. 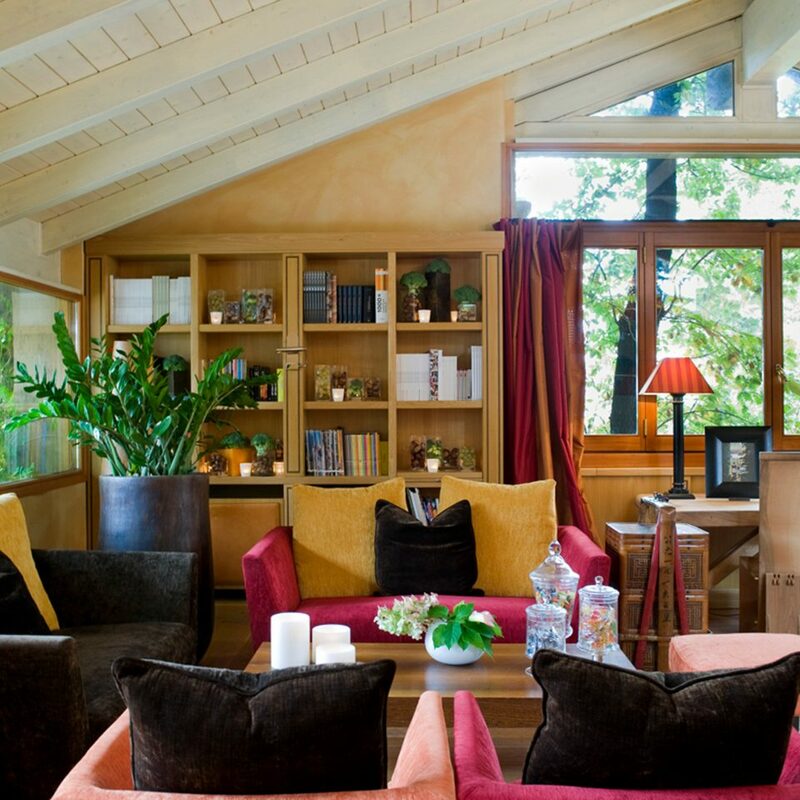 It’s surrounded by fragrant rose gardens and has spectacular views of the valley. 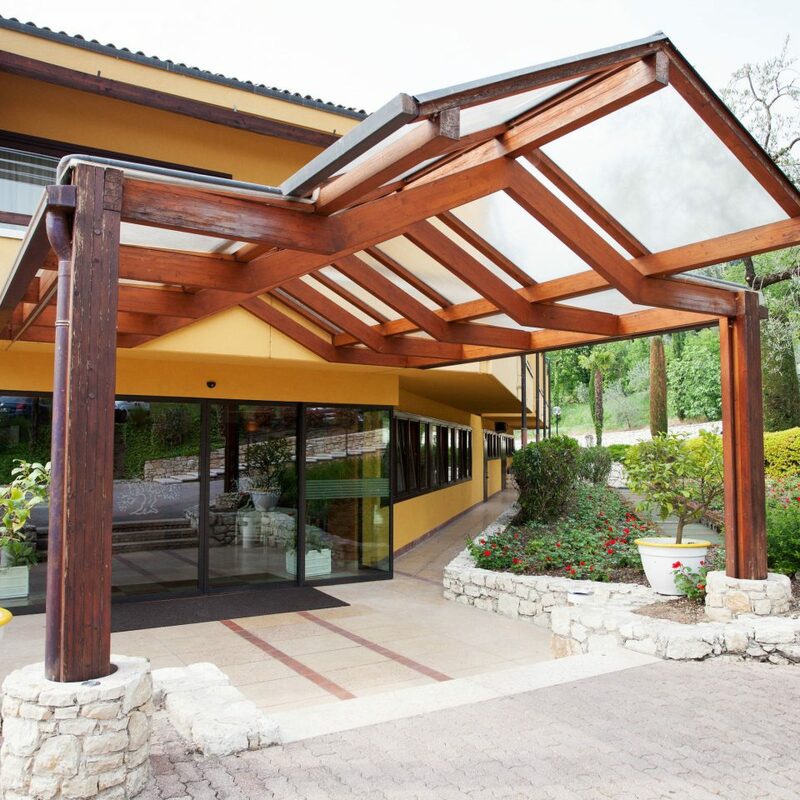 This is an excellent base for visiting the lake, exploring the stunning countryside and towns of Lombardy and Veneto, or simply unwinding with soothing spa treatments and delicious Veneto cuisine. The resort is made up of a number of buildings scattered throughout the gardens. You’ll also find an Olympic-sized swimming pool, as well as six tennis courts, a volleyball court and a gym with personal trainers on hand. There are nine golf courses nearby, as well as plenty of places for watersports and mountain biking. The property makes the most of the magnificent views over the valley, with private balconies in each bedroom and a pretty al fresco dining terrace in the Ristorante Poiano. 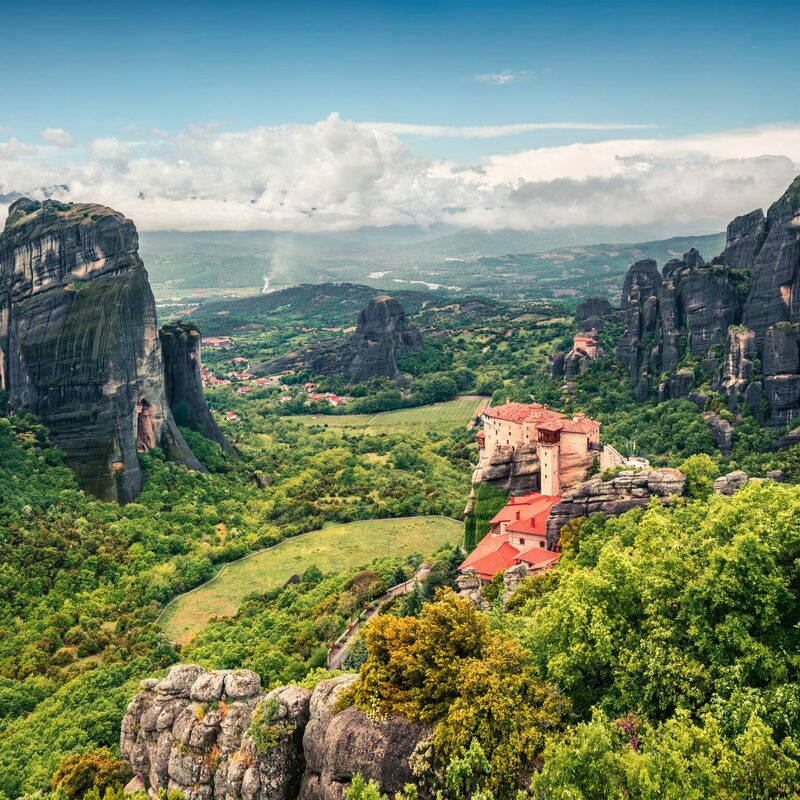 A city tax of €2 per person, per day is payable at the hotel. Please be aware that the apartments are located 656 feet from the hotel. 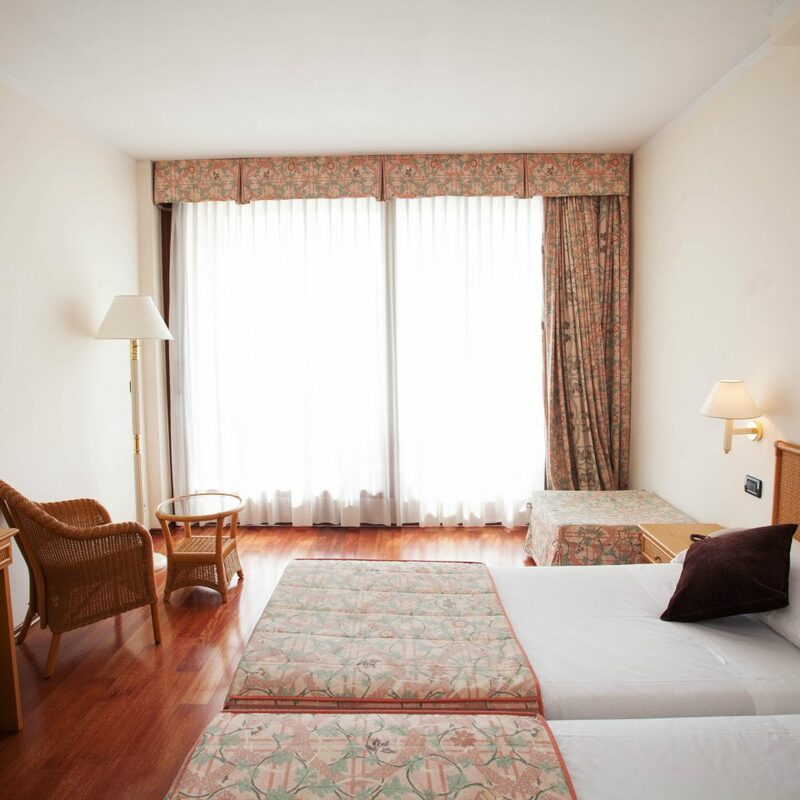 Guests staying in the apartments may use the hotel’s facilities. 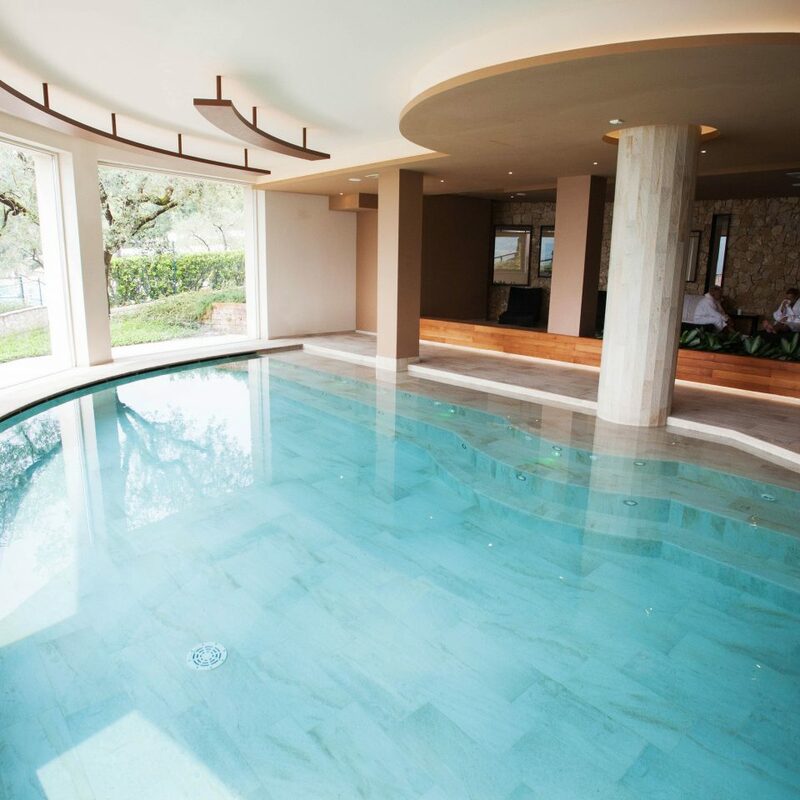 Please also note that the spa is for adults only (aged 18 and above), and access is €12 per person and includes a spa kit (towel, bathrobe and slippers). 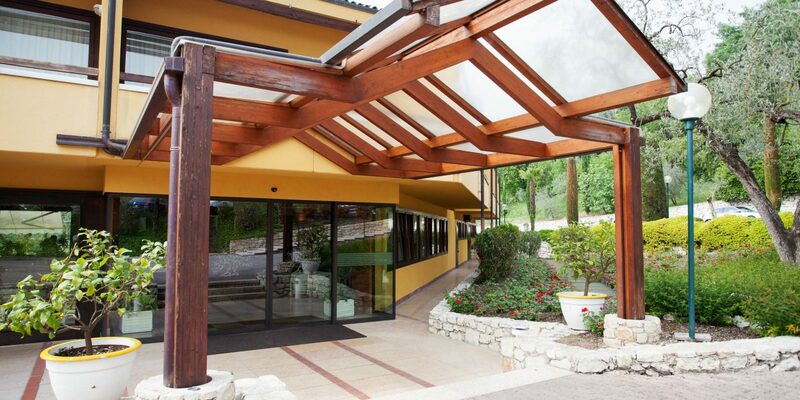 Use of the spa must be booked in advance (please contact 338 5279950 or e-mail poianolaspa@spaemotions.com). 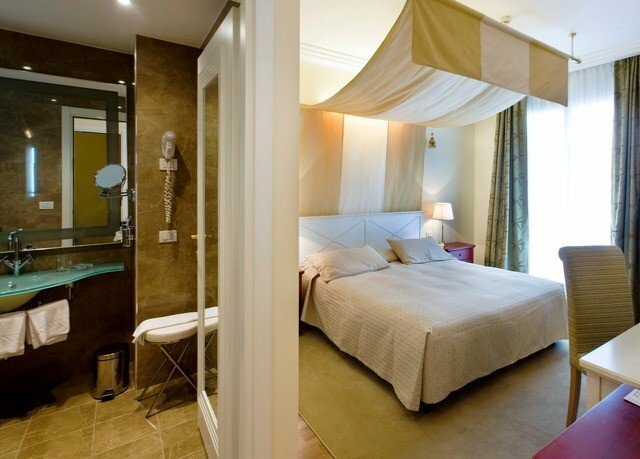 Rooms and apartments at the resort are elegantly styled in soft pastel hues. 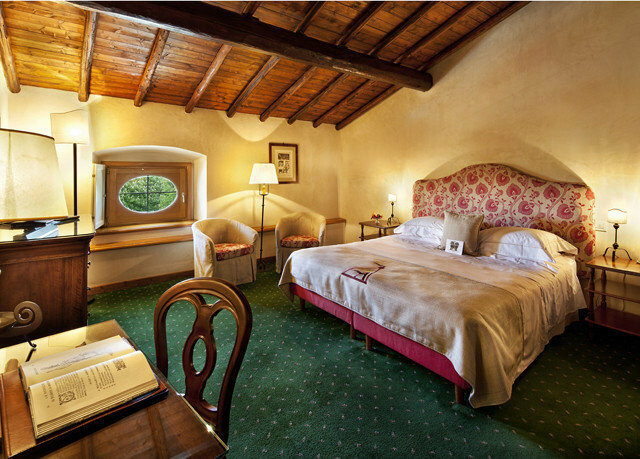 Each Costabella room, located in the central building, boasts a private balcony with panoramic views of the park. The One Bedroom apartments are housed in six blocks of flats and offer more space. 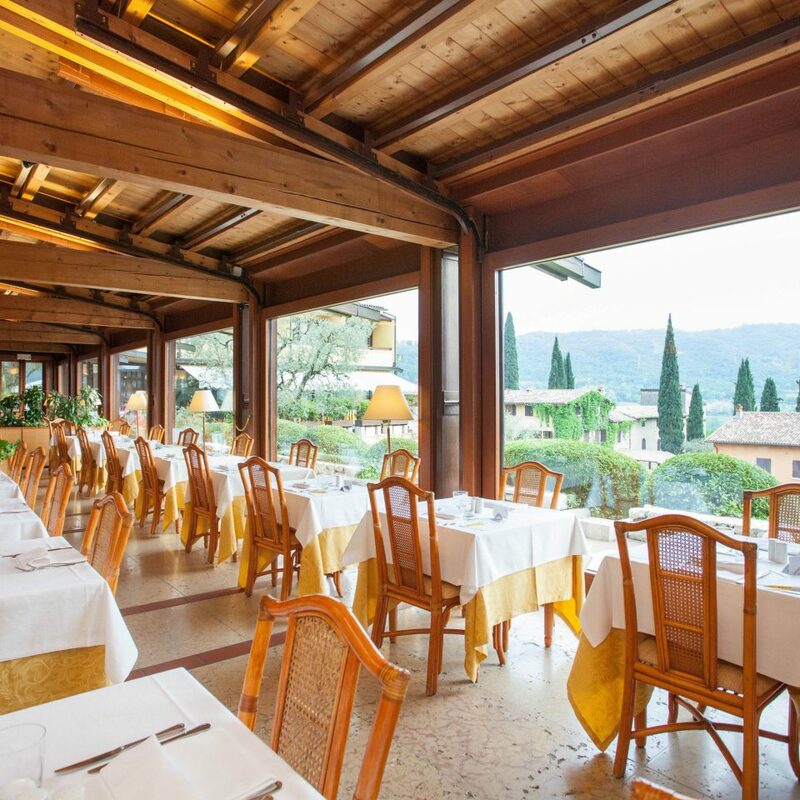 The Ristorante Poiano serves delicious dishes prepared in the rich culinary tradition of Veneto. The dining room has glass doors that open up on warmer nights to transform it into an al fresco terrace with views over the lake. Dishes are accompanied by a fantastic selection of wines from the local region and the rest of Italy. The Gazebo Poiano, by the swimming pool, is open throughout the day, serving pizzas, salads and sandwiches. 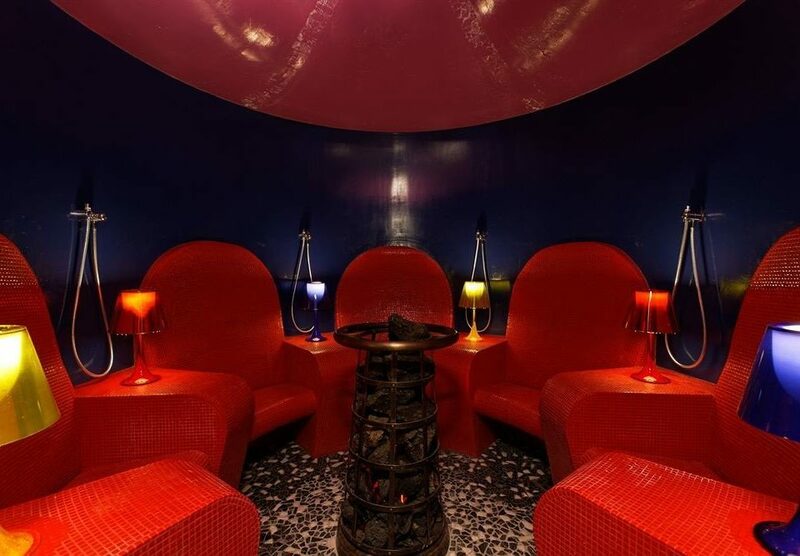 La Spa is a modern, state-of-the-art establishment. Constructed in stone and Venetian marble, it has panoramic windows looking out to the lake. 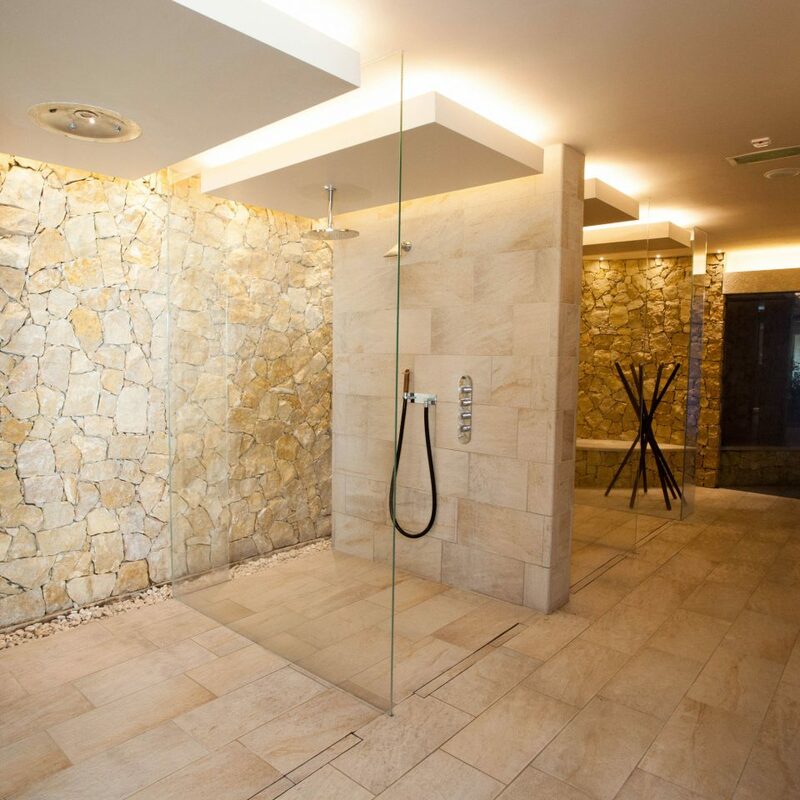 It boasts a saltwater pool, Turkish bath, sauna and bio shower. You can choose from a range of treatments including Tibetan bell, hot stone and sports massages, scrubs and facial treatments.Please note that the spa is for adults only; access is €12 per person and includes a spa kit (towel, bathrobe and slippers). 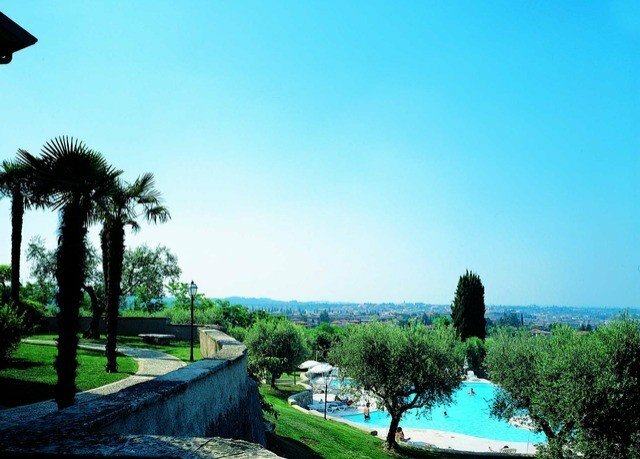 Poiano Resort is a mere two miles from the shore of Lake Garda, the largest of Italy’s lakes and a longstanding international tourist destination. Lake Garda is famed for its watersports opportunities – sailing, kite surfing, windsurfing, canoeing in particular. Monte Baldo, overlooking the lake, is very popular with mountain bikers, and there are also plenty of canyoning opportunities locally. Be sure to take a ferry trip around the lake to see the many charming little villages, delicious and quaint restaurants and beautiful old churches on its shores. The resort is conveniently located outside of town with lake views from some rooms. It caters for big tour groups, which makes it a bit impersonal, but good service levels were experienced. The live music in the bar is a nice touch. As always I will give my review as I have experiences it and not as others have. the resort has good points and bad . Good points first the room's are good, as is housekeeping and the staff are friendly and accommodating. facilities gym, pool (freezing) lots of sun beds. Now to the Bad bits rooms have no tea or coffee making equipment so you have to wait until breakfast, the rooms do not have an iron . if you want to iron there are 2 irons in the launderette which are poor to say the least, under the reception next to the delivery entrance of the kitchen. There is a free shuttle bus which opparates at certain time's if you arrive back in Garda after 7.45pm you will have to walk back or get a taxi which will cost you about 12 euros for a 4 minute trip . Last but not least the Food apart from Saturday night (buffet) you have a set menu with 3 starters and 3 mains that is ordered the previous night, if you do not like these there is no other choice. you are seated at the same table, eveynight. no food allergies mentioned on menu, (or asked on checking in) or vegetarian choice. on 2 evenings fish was on all 3 main meals, my wife has a fish allergie, her meal was soup, as no alternative on offer. no vegetarian meals on any menu whilst we were there.
. Breakfast is the same every morning continental or cooked which leaves a lot to be desired, fresh fruit is available every morning, also toast. I hope you find this helpful. this is my experience. We stayed here as it was near to Lake Garda. We paid extra for a Lake view, meaning we were staying in the main hotel rather than one of the nearby buildings. All the staff were friendly, from the cleaners to the restaurant staff. Our package gave us breakfast and an evening meal. There was a variety of food on offer, but being vegetarian, my options were a bit repetitive. The shuttle bus down into the town was useful, but busy at times. We took a trip around the Lake which was worth doing as you got a real feel for the different towns, and also used the ferry to explore on our own. It’s a beautiful area, and we would happily go back. 4 night stay in a Junior Suite, Saturday 22nd September to Wednesday 26th September 2018. Arrived Saturday evening and checked in, limited information given at the time and taken up the steep hill to our accommodation on the golf cart. Back down for a buffet dinner, very busy with good choice of tasty food. A table is allocated to you each night on arrival and you choose your meal for the next night (choice of 3 starters and 3 mains) which we weren't told about at the time, while the choice was limited the food was always good. There was music in the bar each evening which added to the atmosphere. There is a good range of facilities with a Spa, large pool (not heated), tennis courts, archery, volleyball, laundry, games room and some bikes although not very high specification. There is a small shop on site (mainly for the self catering apartments) although it is not very well stocked. While the room was large with a seating area and outside area, there is a shower, however this is over a bath with a fairly high edge to get in, we had asked for a double bed yet it was 2 singles pushed together with individual quilts, we would have liked a kettle in order to have a coffee at various times throughout the day, our room had F Type 3 pin plugs so we had to ask at reception for an adaptor. The resort was very popular with Italians, Germans and English alike especially the older generation. The staff were all friendly and very helpful. They offer a free minibus in to town although this was very busy both ways and on occasions you would have to wait until the next one, it was a steady 40 minute walk in with the option of picking up a free local shuttle bus on route. 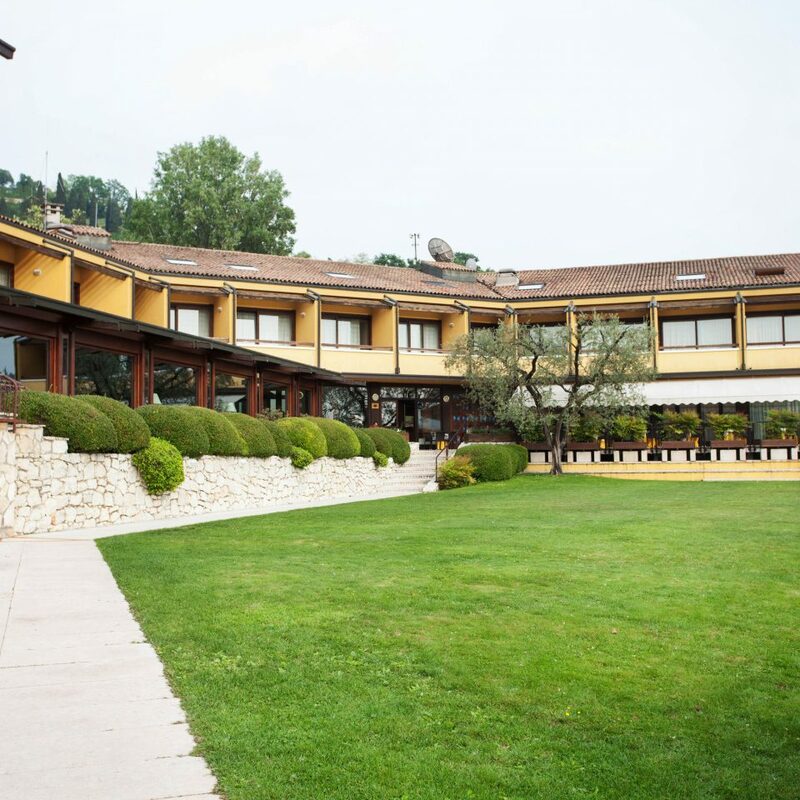 The hotel Resort was set in a beautiful hillside area with " far distant views" of Lake Garda a good 30 minute walk to the lake side. The food was very good with varied choices for breakfast and dinner. Very clean rooms and hotel in general so couldn't fault at all although decor was dated but probably not unusual for Italy. However the staff has great difficulty in raising a smile or a friendly bonjourno. I had a few issues with the room which were eventually resolved. As the hotel is so far from the lake there is an 8 seater shuttle bus service which runs every half hour from 10.00 a.m until 7.30 p.m with a 2 hour break between 12 noon and 2 p.m. This is totally inadequate and sometimes causes serious disagreements between those who arrive early and queue and those who just turn up and push on. If anyone wanted to go into Garda at any other time they would need to arrange their own taxi which costs around 20 euros return. I believe this is an issue that has been raised with the hotel for a few years but still remains unresolved. There are also apartments at the resort which are mainly accessible by steep steps. This is not mentioned in the hotel brochure but causes a lot of problems for the elderly and those with walking disability. There are buggies that can be ordered from reception to get people to and from reception and the restaurant. Unfortunately I would not return which is a shame because it could be an amazing holiday resort especially for families.